Zola Jesus has a new album in the works due to be released in October this year (see preview video below). We are worried though. Unfortunatly. Because when she (Nika Roza Danilova) released Stridulum II , it felt like we have a new independent star on the rise with a unique style indeed. We still listen to that album and it still feels current even though it was released in 2010. So why worry you ask? Well the following album (Conatus , 2011) felt much weaker and after that she did a promising collaboration (Versions , 2011)with the genius of Jim Thirwell which also fell a bit flat to be honest. Since then she has released a single (Dangerous Days ) as a preview of the upcoming album Taiga . And we shiver when we think of how that sounds. Because all of a sudden she dropped everything that made her so good! It sounds like a bland version of whatever you hear on the radio these days. Very disappointing. Why is it that artists loose the original sound and give in to some kind of general commercial sound that does not even suit or work for them? Is it a survival thing as an artist? In that case it is truly sad. And we should all pitch in to safeguard our artists and their original sound so that don’t have to sell out to this type of crap. Sad but true. 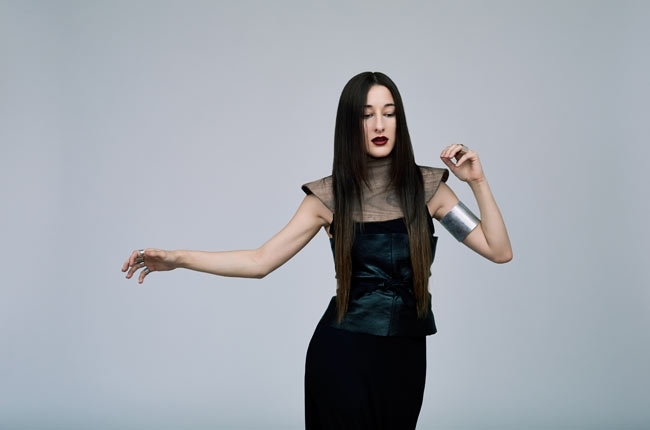 Nika Roza Danilova (born April 11, 1989), better known by her stage name Zola Jesus, is an American singer-songwriter. She has released three EPs and three full-length albums that combine electronic, industrial, classical, goth, and experimental rock influences.